Defraggler is a program with which you can defrag your whole computer hard disc, or just the area you prefer. You can even defrag a unique file. The special feature of Defraggler is that you can select a file and see the way it has been written in the hard disc: You will be surprised at seeing in how many parts it is fragmented and the distance lying between them. Defraggler solves this problem by reorganizing your PC files. Besides, it is a light and portable application you can take with you at any moment in a portable device. 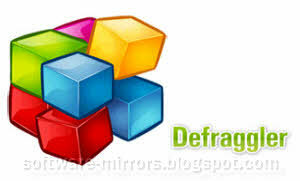 Defraggler is compact and portable Windows application supports NTFS and FAT32 file systems.